Cisco expands the benefits of the Apple device fast lane to macOS devices and developers. In the mid '70s, the fine band the Eagles wrote a song that goes, "Life in the fast lane, surely make you lose your mind", which peaked at #11 on the Billboard 100. About 40 years later (yikes, I'm old), Cisco and Apple formed a partnership aimed at giving iOS business users a network "fast lane," providing an experience that would hopefully cause them to lose their minds (in a good way!) -- at least when compared to a more traditional mobile experience that is often inconsistent and at times frustrating. 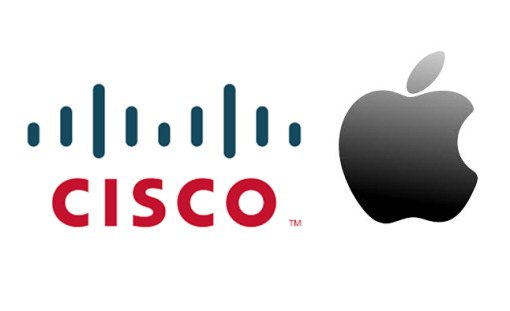 The initial joint Cisco-Apple "fast lane" prioritized Cisco Spark and WebEx application traffic running on iOS devices over other types of data on Cisco networks. Also, iPhones and iPads automatically select the best Wi-Fi access point so real-time apps like VoIP and video have superior quality. Without the partnership, users could have a diminished experience, given that Wi-Fi is a shared medium and people watching March Madness or the latest Dave Michels–Zeus Kerravala video on the office network are consuming all the bandwidth. Fast lane for all Apple devices -- The initial phase of the partnership focused on iOS devices (iPhone, iPad). Now macOS devices (MacBook, iMac) will enjoy the same benefits as mobile devices. Congested networks? No problem for all Apple devices on a Cisco network. Simplified Cisco Spark and WebEx experience on iOS and Safari -- Cisco Spark and WebEx have finally been iOS-itized. When running iOS11, users can invoke either application from within the calendar. The process of flipping from calendar to home screen to launch one of the apps isn't difficult, but it does create needless steps, and over the past few years Cisco has been all about eliminating those needless steps. Also, iPhone and iPad users can now share their screens with other individuals in meetings. Further, another enhancement is casual users and guests of Spark and WebEx can now join meetings via Safari with full audio, video, and presentation capabilities. Cisco will also use iOS APIs to integrate Spark voice and video into the iPhone, giving users a native experience. Instead of having to do everything in the Spark App, users can click a contact in the iPhone directory, favorites, or recently called to quickly make an enterprise voice or video call. Workers can also answer Spark calls right from the lock screen, use a connected headset, or switch between calls -- whether it's a cellular call or from Spark. This creates a seamless Spark–iOS experience where users no longer have to flip back and forth between the app and phone. Cisco is also bringing "life in the fast lane" to developers though its DevNet program. I've long been a critic of Cisco's developer efforts (and I'm using that term generously), but a few years ago Susie Wee took over the program and has made it a success. In fact, just a couple of weeks ago Cisco held its first dedicated DevNet event, Create, which focused on Internet of Things, cloud developers, and DevOps individuals. Now Cisco is making it easier for iOS developers to integrate with Cisco services through the Fast Lane validation program. Mobile applications are a key part of digital transformation, and as a result of the Cisco-Apple partnership organizations are now able to give better quality Wi-Fi connections and prioritize business-critical apps to Apple users on a Cisco network. The apps that matter will have priority over the ones that do not. The Fast Lane validation program isn't just for voice and video. Any iOS application that is deemed to be business critical can be tagged for QoS, optimized for Wi-Fi, and then prioritized in the fast lane. Cisco DevNet now has a service for iOS developers to verify how these apps run on Cisco infrastructure without having to spend a bunch of money to build a test network. DevNet has made available virtual Cisco Aironet and cloud-managed Meraki labs to test QoS tagging. Currently this only works on iOS 10, but Cisco is working to make iOS11 and macOS part of the testing environment. With this validation program, developers can now experiment with the fast lane without incurring any costs. Cisco has been talking up the partnership with Apple for a little over a year now, and while the initial set of announcements were certainly interesting, this set has a lot more meat on the bone as it expands the benefits to macOS devices and developers. Cisco has used the power of collaboration to help its customers realize the power of their own collaborative initiatives by continuing to improve the experience of its applications.